In this series, Erle Montaigue gives his some 35 years of experience in teaching the internal martial arts. it is done in two sections. The first is for the prospective instructor/instructor him/herself and their own training. Erle gives exercises from Wudang Shan that will give the instructor the necessary balance and timing, the power in punching and the body movement in order to make an impression on the new student. Of course one should never even begin to teach the internal arts without knowing the self defence method of the art because that is why these art exist. The health benefits are an offshoot of this. The 2nd area is for the students that you will be teaching. Over the past 35 years Erle Montaigue has amassed a huge amount of 'tricks of the trade' so to speak in getting students up to satisfactory levels. 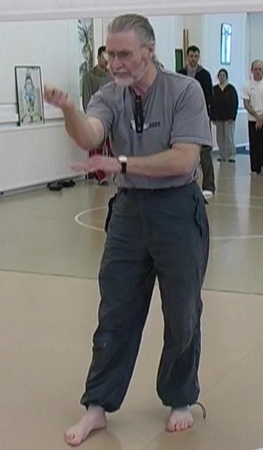 he will also be showing exactly how to teach the Yang Cheng-fu form to anyone, even those who are perhaps older and cannot perhaps understand these strange movements etc. This series is a MUST for instructors and beginning instructors alike.